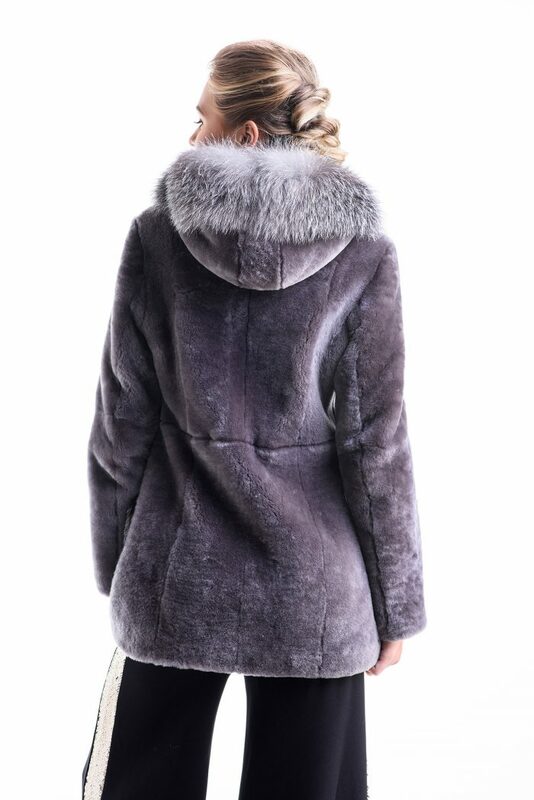 This women fur coat is made of natural Merino lamb fur and polar fox fur, being very suitable for the cold winters. 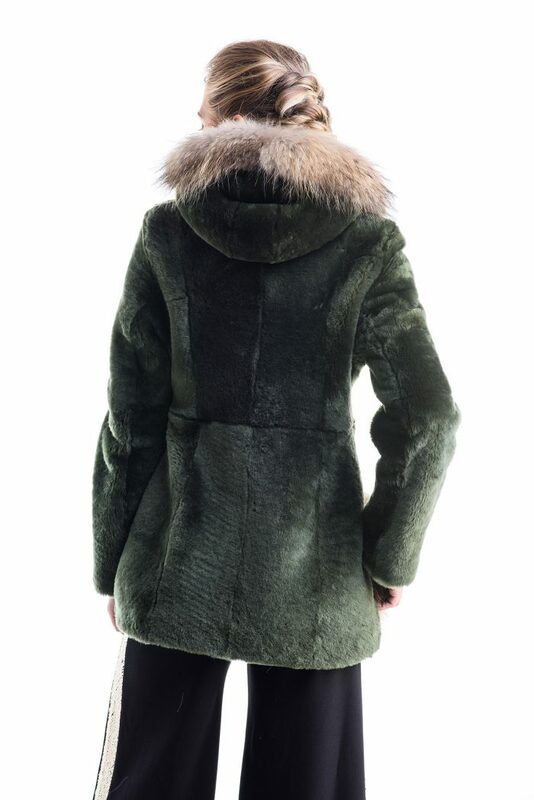 The Merino lamb fur from the exterior is trimmed to 8 mm thickness and the interior is padded with a polyester material. 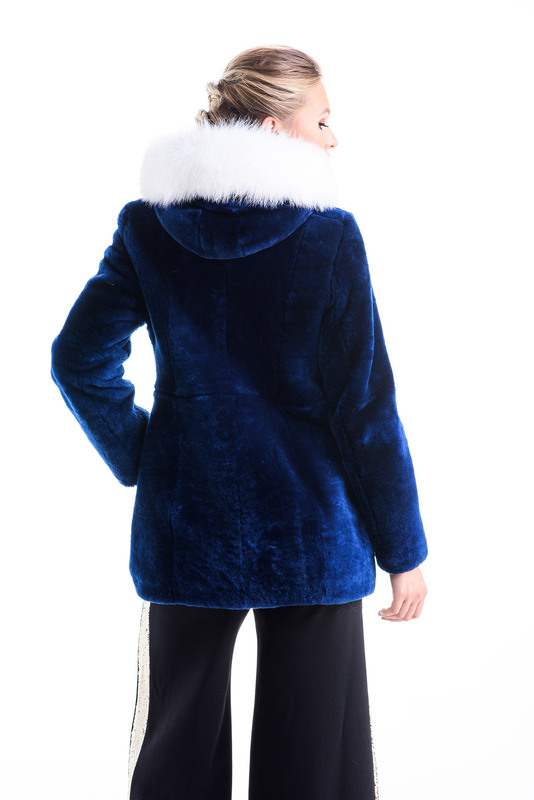 Both the two pockets and the collar of the fur coat are made of polar fox fur and have a fluffy look, being very pleasant to the touch. 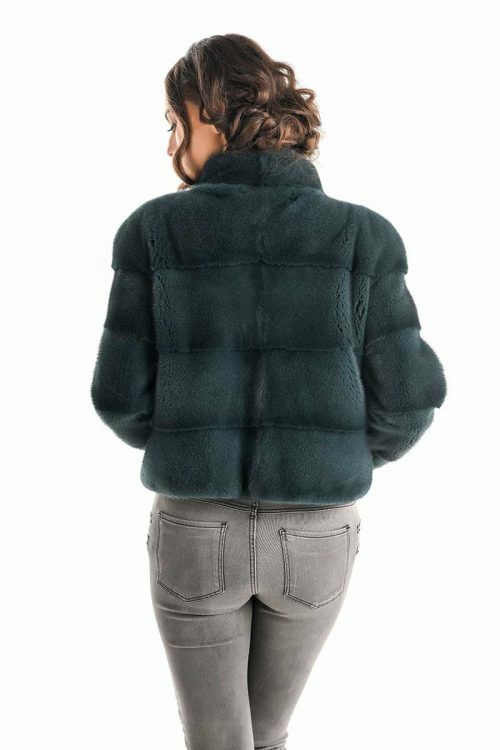 The fur coat closes with snap buttons and has two side pockets. 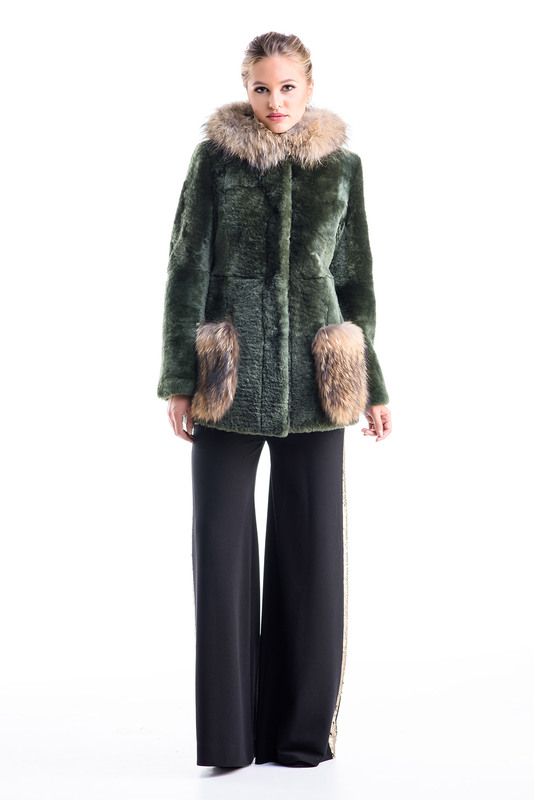 This fur coat is special and comfortable, being suitable for any occasion.